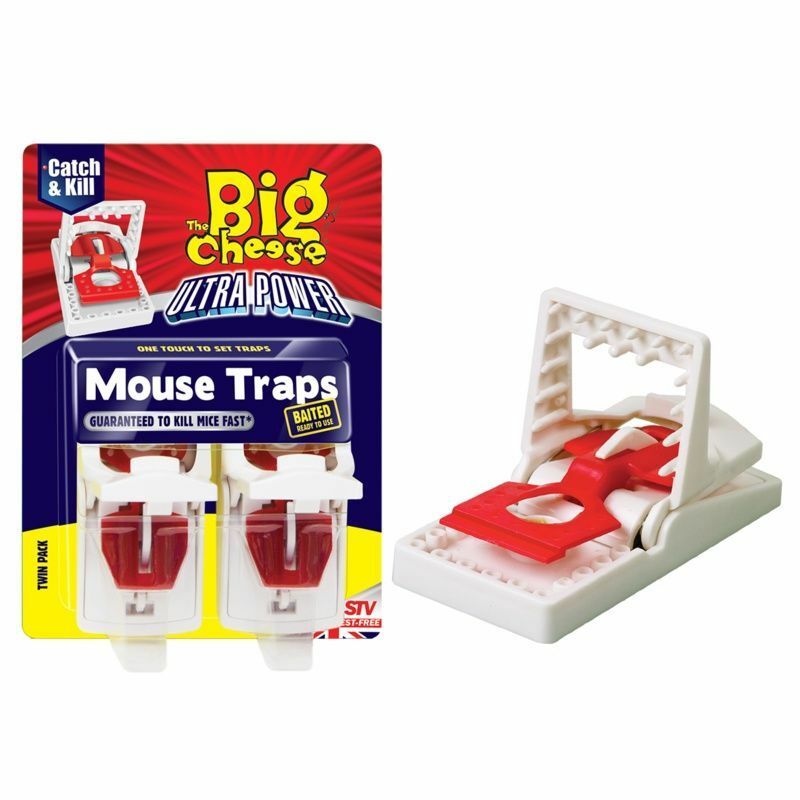 The Big Cheese Ultra Power Mouse Trap features a one-touch that design makes them easier to set than traditional traps and allow easy disposal of captured mice. The Big Cheese trap is very easy to use; press down on the tab to lock the trap in place, remove the bait cap and place in an affected area. Once the trap engages, pick up the trap by the tab and squeeze to drop the captured mouse without ever having to touch the animal. One quick click to set trap. Simply squeeze again to dispose of catch. No touch, hygienic 21st century design. Customer Note: Use multiple traps in severely affected areas.